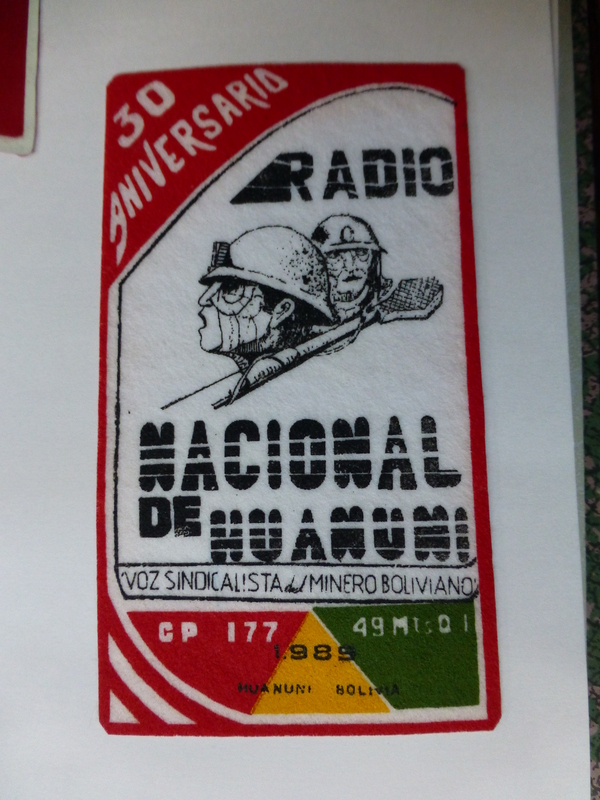 The Bolivian radio station Radio Camargo, Camargo (Chuquisaca), Bolivia celebrates it’s 40th anniversary on November 9, 2015. Let us wish all the staff of Radio Camargo Happy 40th Anniversary! 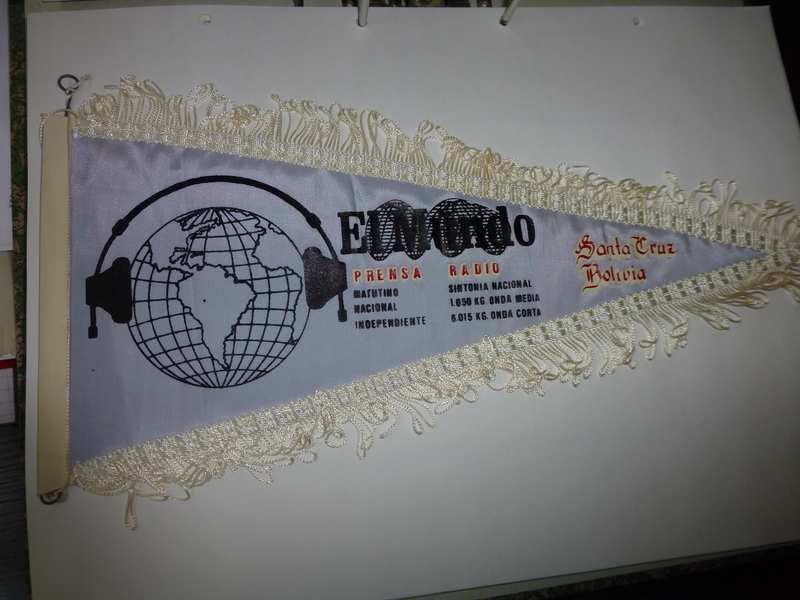 Radio Camargo’s first transmission took place on November 9, 1975 at 6.45 pm. 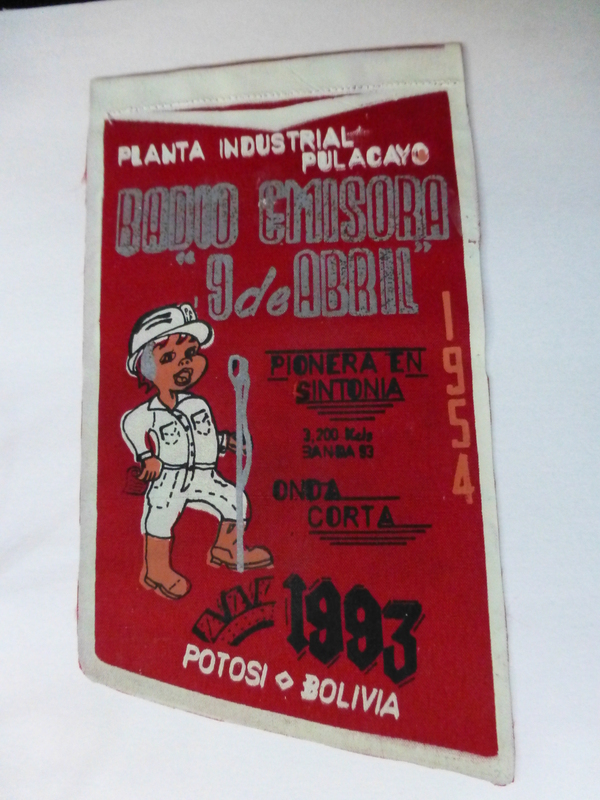 on 3390 kHz from the city of Camargo, Capital of the Province Nor Cinti, Departament of Chuquisaca, Bolivia some 350 km south of the city of Sucre. Camargo is a city of some 6000 inhabitants between two mountain chains on the banks of Rio Chico. The station was built on the initiative of Don Pablo Garcia B. Many Nordic DXers interested in Latin American radio stations remember when Camargo appeared with transmissions in the 90 m.b. on 3390 kHz in 1977. The first Nordic loggings were made by Tomas Johansson in Borlänge, Sweden and Pertti Äyräs in Turku, Finland in June that year, i.e., two years after the station was born. My first logging of Camargo was on August 2, 1977 just before Heidi and I left for post-graduate studies to USA where we stayed for four years and as a result I did not return to DXing until 1989, a break in DXing for 12 years! 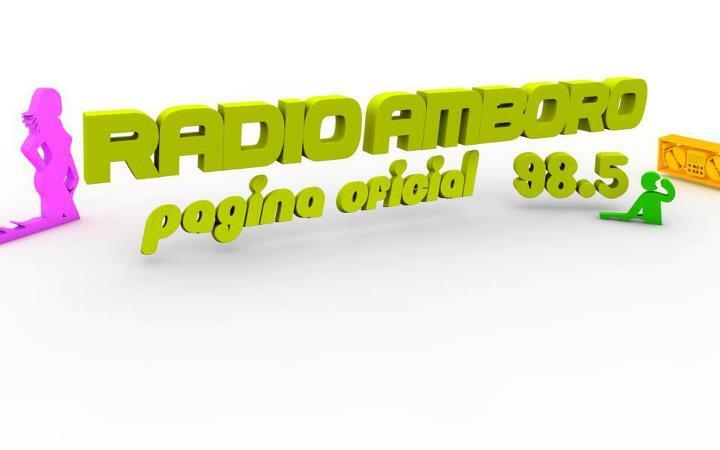 Radio Camargo remained a faithful station in the 90 m.b. for decades to the joy of many LA-DXers. The station was always glad to receive reception reports from foreign listeners and promptly answered us with QSLs for which we are thankful. Even though Radio Camargo is still listed as active in the 90 m.b. in WRTH2015. I was informed today by José Luís Garcia Pastrana on Radio Camargo that the station officially left shortwaves in the beginning of 2008 because of cost reasons. It is now transmitting only on FM on 100.3 Mhz. A personal special memory of listening to Radio Camargo is from July 28, 1990 when Henrik Klemetz was visiting me in our summer place outside the city of Jakobstad by the Gulf of Bothnia. A look in my log book reveals that in addition to R Camargo on 3390, we also noted R Nacional de Bolivia on 1390 and R 9 de Abril on 3200.4 R Camargo closed down at 0135 UTC just after sunrise in Jakobstad at 0127 UTC! Henrik has sent a 40th anniversary package including text, fotos and an mp3 audio greeting to Radio Camargo. FELIZ 40 ANIVERSARIO RADIO CAMARGO! Below a video professionally produced by José Luís García Pastrana on Radio Camargo based on the material Henrik Klemetz submitted to him as mentioned above. 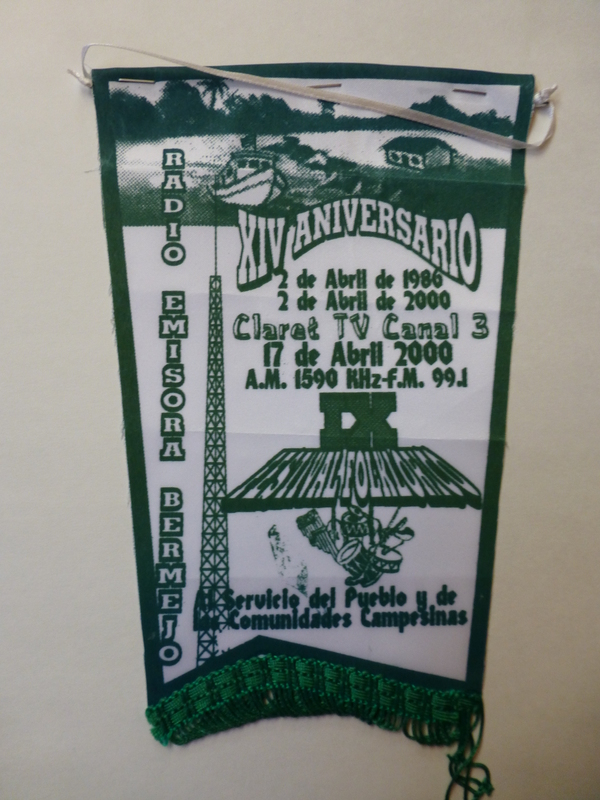 Henrik Klemetz: Radio Luz del Mundo, Bolivia, 1560, new 5 kW transmitter and antenna site inaugurated May 17. 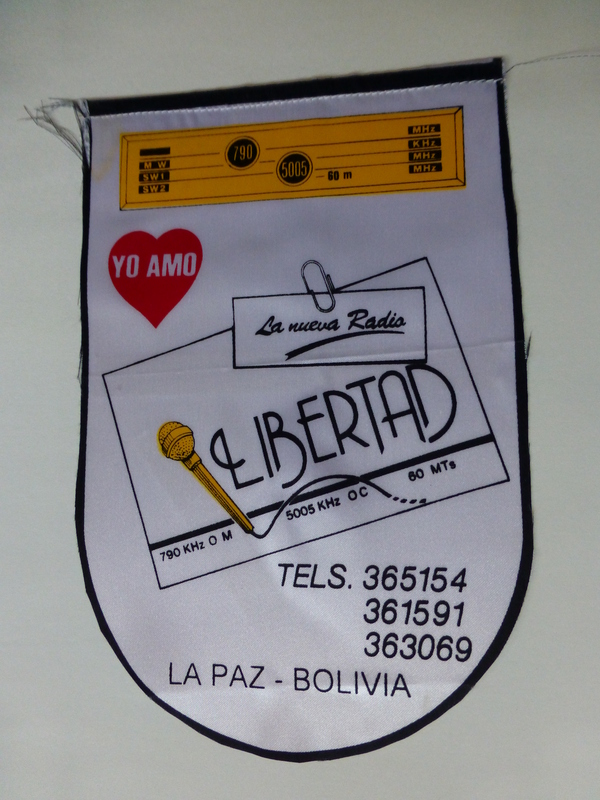 Pastor Raymundo Ramos Chejo, of the Iglesia Luz del Mundo Shekiná,welcomes reports to luzdelmundo.bolivia@hotmail.com The new transmitter was actually on the air a few days prior to the official inauguration and logged by Torolf Johnsson in Sweden. Pertti Äyräs logged the station already on May 16 in Finland. It was heard here in Borgå on June 4 with a rather nice signal.and today Pastor Raymundo Ramos Chejo confirmed my reception. Mil gracias Pastor Raymundo Ramos Chejo! 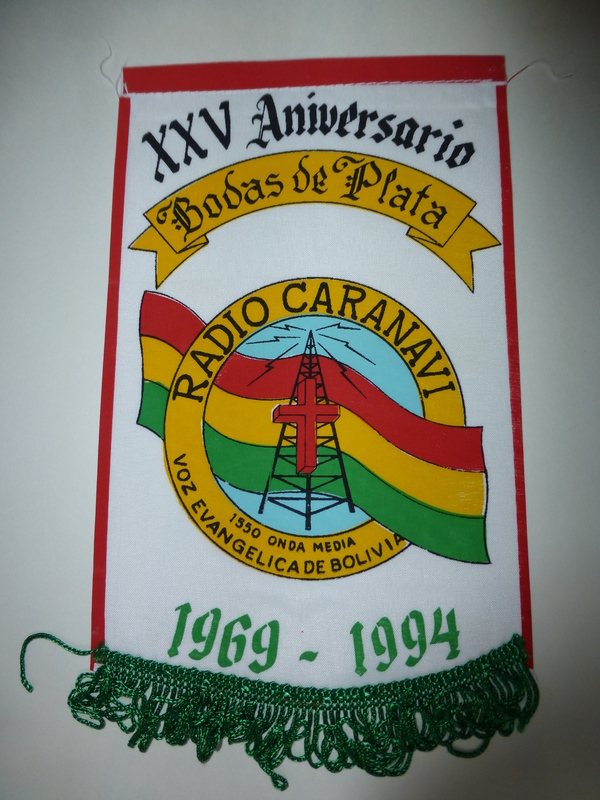 CP— Radio Luz del Tiempo, El Alto BOL 1520 – Heard in the Nordic countries – Celebrating it’s 17th anniversary May 9, 2015! Radio Luz del Tiempo has been heard during the latter part of April several times by a handful of listeners. In Finland, the station was logged by at least Jyrki Hytönen (JHY), Pekka Hakala (PEH and Jan-Erik Österholm (JEÖ) on April 25 and 26, respectively. The station was also received in Latvia and Sweden. The station QTH is El Alto, which is the second largest city in the department of La Paz, Bolivia. Once merely a suburb to La Paz, El Alto is today one of Bolivia’s fastest-growing urban centers. Located some 4000 meters above sea level, the city has a population approaching one million. The El Alto airport is the highest international airport in the world. Recently, an aerial cable car system was inaugurated connectiing the capital La Paz with cliff-edged El Alto, 500 meters on top of La Paz. http://en.wikipedia.org/wiki/Mi_Telef%C3%A9rico Daniel Tola, one of the station’s studio operators, verifies reception reports. He can be reached on Facebook or by email fuerte_for@hotmail.com. Anyone contacting the station now may want to congratulate the station on its upcoming 17th anniversary to be celebrated on May 9! Thanks to Henrik Klemetz (HK) for identifying the station and sharing his contacts with the station. HK continues: “Radio Luz del Tiempo celebrates it’s 17th anniverary on May 9. 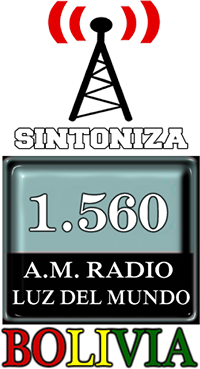 Until 2004, the station was known as R Nueva Esperanza, transmitting on 1520 and on shortwave on 6895 kHz. 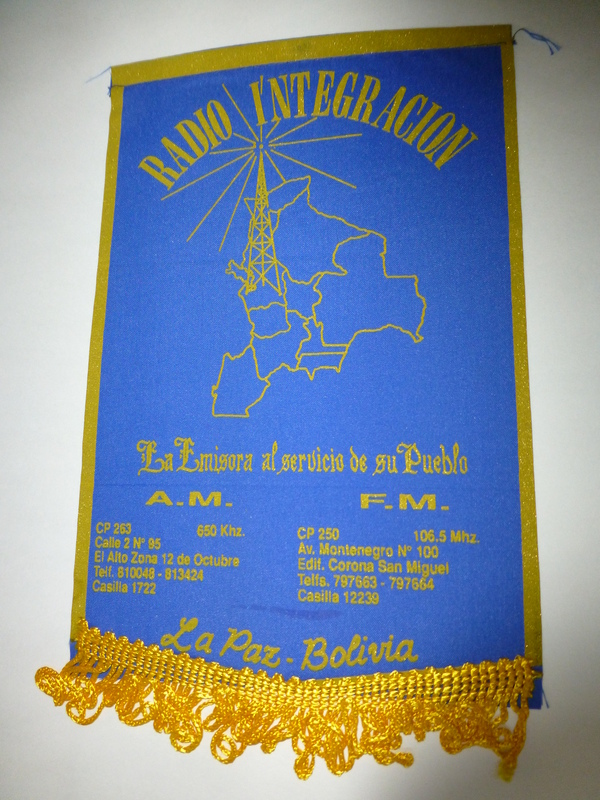 The station is owned by the Seventh-day Adventist Church and cooperated at least earlier with Radio Altiplano Advenir 820 in downtown La Paz. La Voz del Altiplano could be heard in Scandinavia during the 60’s and 70’s on it’s 60 m.b. frequency 5045. “Radio Luz del Tiempo’s transmitter is located in Villa Ingenio at 4235 meters above sea level, and they are using a 49 meter high antenna tower. The transmitter power is approx. 2 kW. Transmissions start early in the morning local time and ends around 02 UTC and programs are in Aymara and Spanish. The station has been heard in the Nordic countries every now and then during the past five years but only during early fall and late spring. The first QSL to the Nordic countries was received in 2010 by Torolf Johnsson (TJ) in Sweden”. 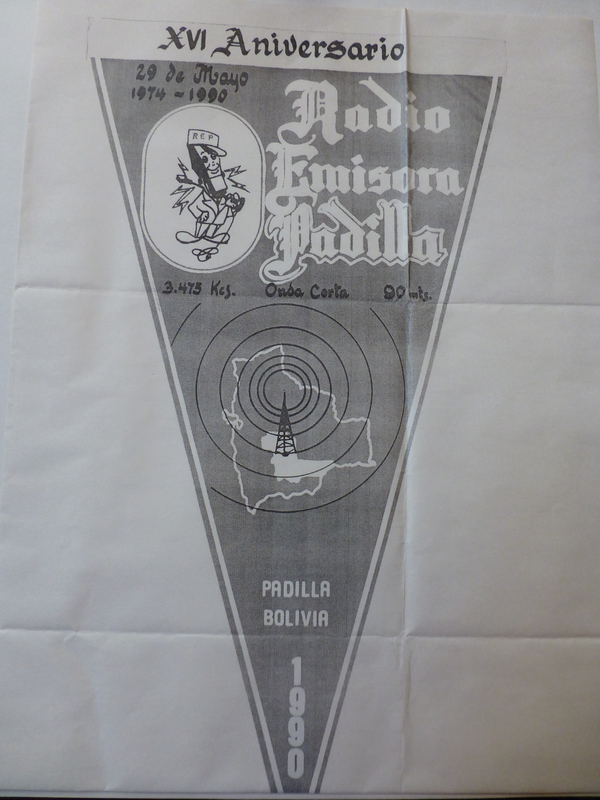 “Radio Luz del Tiempo has no internet connection of their own (internet is still rare in Bolivia) and so emails to the station are downloaded in cyber cafés located nearby. The station director is Juan Marca Marca and the station technician and operator Daniel Tola who has been kind to confirm our reception reports”. A big thank you to HK for this info, y mil gracias por su confirmación Daniel, y al mismo tiempo nuestra felicitación por el aniversario de la radio!!! Radio Bendita Trinidad was heard here in Borgå at my home QTH with strong signal during a good opening towards Bolivia on May 9, 2013. A total of six bolivians where noted. Similar cx was observed in Sweden (and Norway) but one day laterr, on May 10! On May 10 there were no signals to mention from Bolivia in the Southern parts of Finland. Interesting indeed! When I heard Bendita they were carrying the phone-in program “Saludos y Bendiciones”. A long email letter from the station’s big boss Mario Mujica was received in a day. Thanks to Henrik Klemetz (HK) for helping me to get this nice QSL. 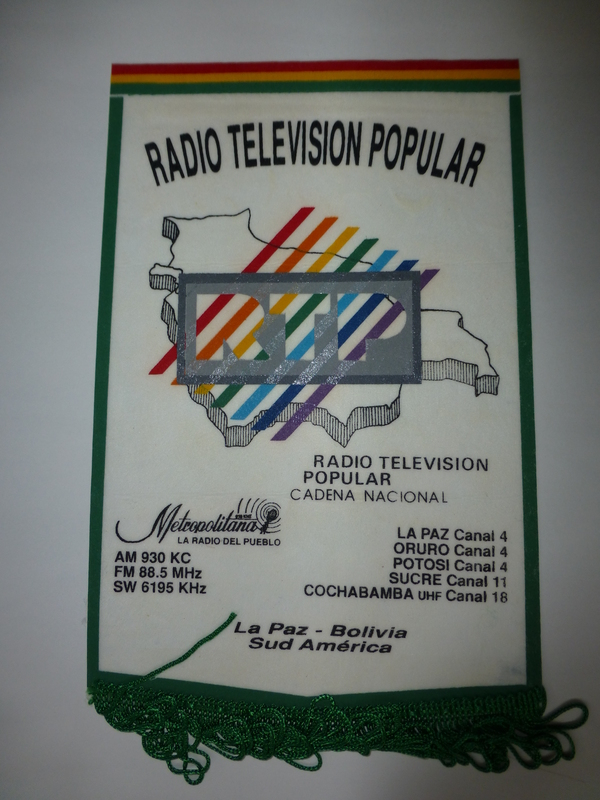 From Mujicas letter one notes that Radio Bendita Trinidad Group has the following stations: La Paz-El Alto 1540 AM; Cochabamba 1480 AM; Stanta Cruz 1480 AM; Tarija 1480 AM; Montero 89.1 FM and Blanket 102.7 FM. It should be noticed, that 1480 carries three relay stations in three different cities. The station on 1480 has been heard in Sweden and Finland recently, but now it is unclear which transmitter site! This Old stuff post is intended to wake up some memories of the past, when LA-DX on shortwaves comprised the gold mine for listeners. In late May 1990 very good conditions towards especially Bolivia in the 90, 60 and 49 meter bands shortwave was observed here in Finland. An andinian station was unexpectedly heard on 4981.5v kHz, between Ecos del Torbes, Venezuela on 4980 and R Brasil Central, Brasil on 4985 kHz with rather good signal strength. 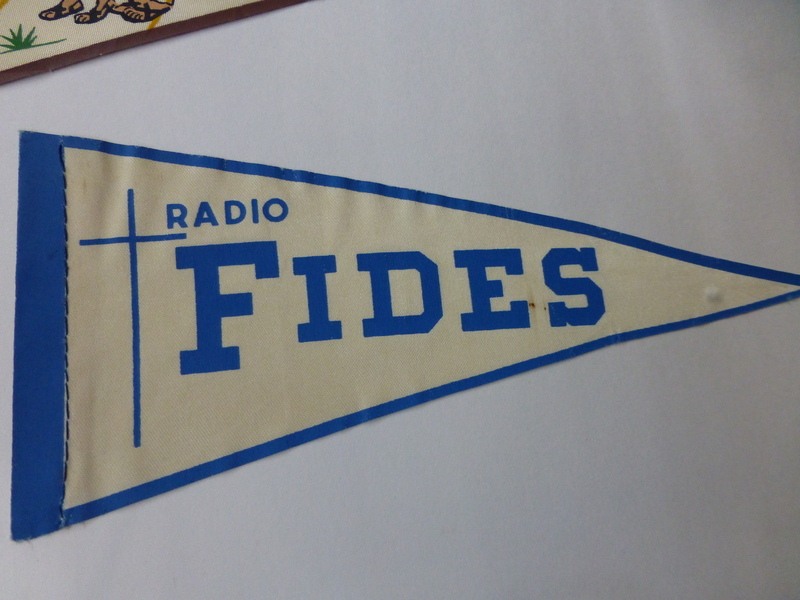 I got the ID “Radiodifusoras Minería” on May 19, 1990 but, according to WRTH 1990 this station, officially listed on 4985, should have been inactive at that time. The first logging of this station in Finland was done one day earlier, on May 18, 1990 by Ilkka Suni (IS). In order to confirm the logging, I called Henrik Klemetz (HK) in Umeå, Sweden and discussed the matter and I also sent him a recording of the logging. This was the first connection to HK since I started DXing in 1963 and since then we have, should I say, been in very close contact digging into the mysteries of Latin American DXing. Henrik has been instrumental in solving a huge number of so called unidentified loggings, not only for me, but for very many DXers all around the world due to his excellent knowledge of Latin American radio, his deep knowledge in the Spanish language and being a DX-listener himself. 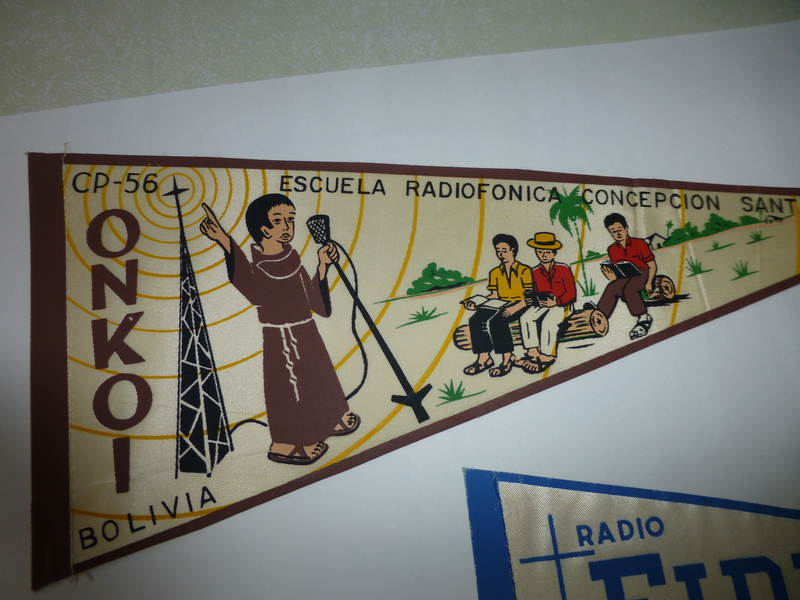 Resulting from HK’s call was a very nice QSL-letter from Dr. José Carlos G´mez Espinoza, Gerente y Director General de Radiodifusoras Mineria who also included a very nice pennant and other materials of this re-activated “new” bolivian. 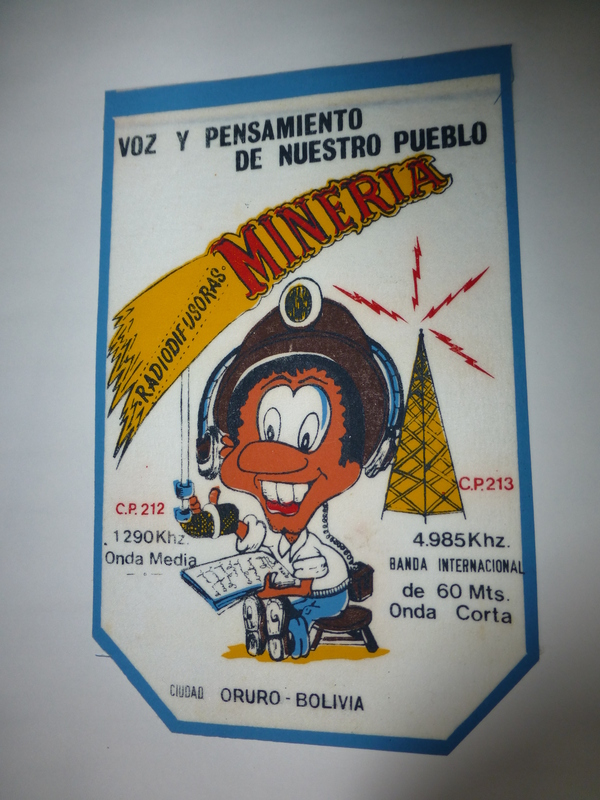 NOTE from Henrik Klemetz: Radio Minería has been off the air for several years, both on SW and MW, says Angel Oquendo, who is from Oruro. Wilfredo Navarro Amurrio passed away in June 2001.